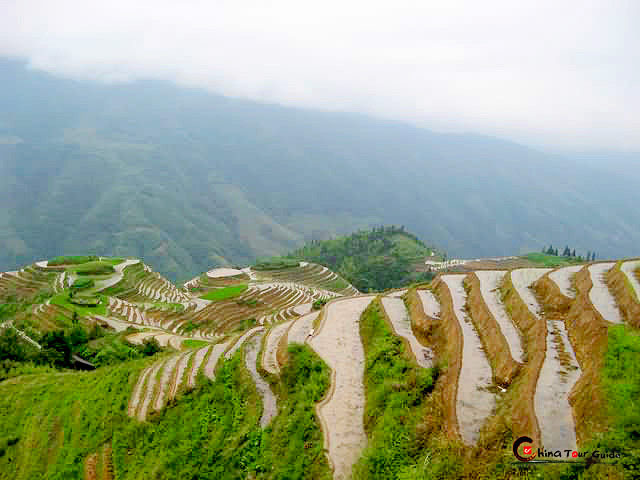 Crown Cave is located in Caoping Hui Nationality village, 29km south of Guilin city. The cave gets its name because it looks like a crown. 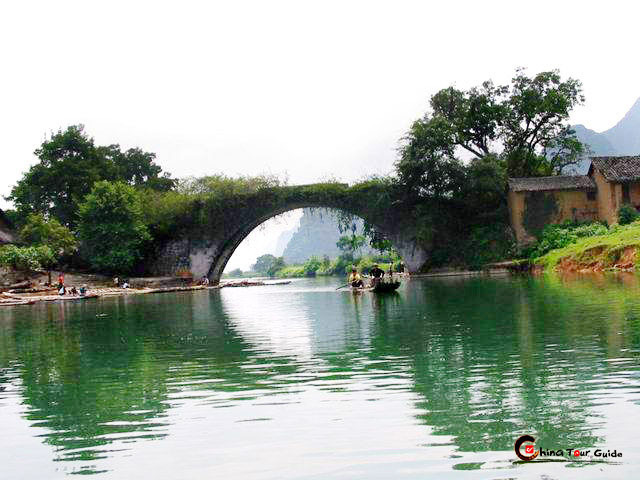 The cave 's stream runs out of a remarkable gate and straight into the Li River. It has attracted and inspired many writers and scholars for hundreds of years. 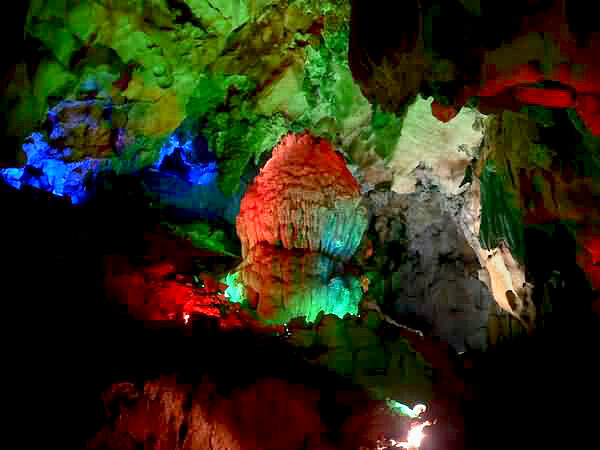 Xu Xiake, an ancient traveler in China, explored the cave in 1637 and is regarded as the first visitor to this cave. The cave runs a distance of 12 km, with 9km of the inner cave still being unexplored. It is further divided into four caves connecting with each other. 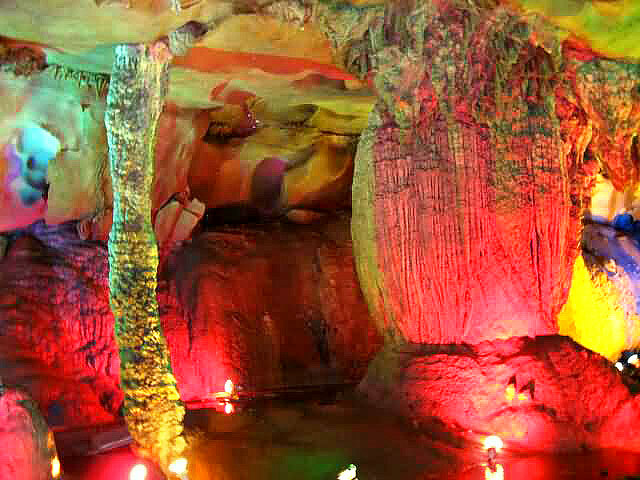 There are stalagmite and stalactite protruding from the top of the outer cave, giving it a spacious and bright appearance. Because it was closed up much of the time, the cave is well preserved. Inside the cave, stalagmites stand here and there, grotesque and imposing, leading people into a fairyland. 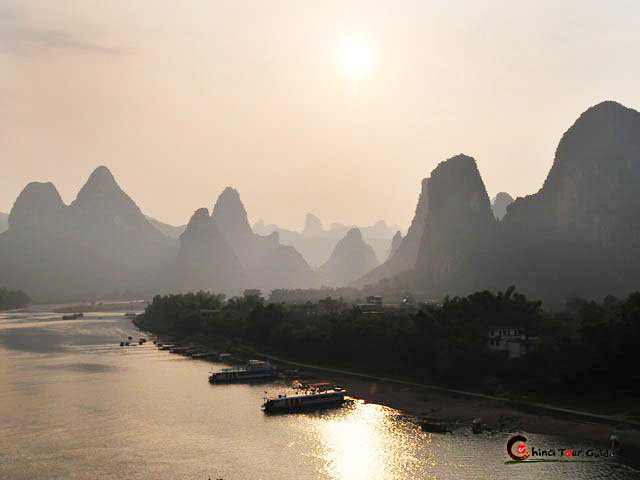 An underground stream up to 10 meters deep originates from Haiyang Mountain and empties into the Li River. The cave has entered the Guinness world record book for its numerous ways to explore the cave, more than any other in the world. It is equipped with a sightseeing elevator, small trains, sampans, and sightseeing roller coasters. 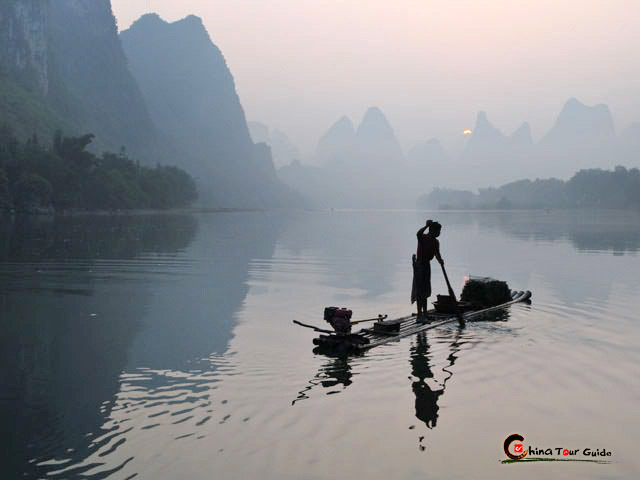 In addition you can sail into the cave from the Li River. The purple mist, dramatic hanging stalactites, combine to create a kind of poetic charm that will touch you and leave you a lasting experience.